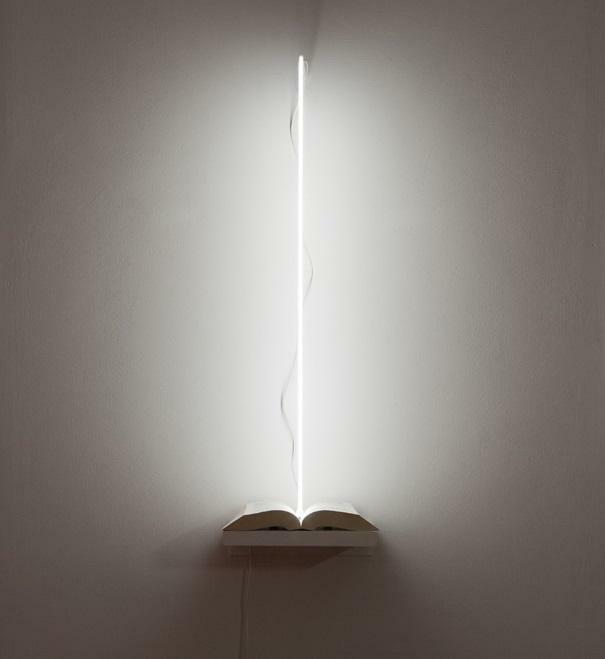 Unique piece Medium: book, neon and transformer "Vertical road to reality" is the title of the work and also the title of the book. The author is the English philosopher and mathematical physicist, Roger Penrose, known in the scientific community for his contributions to cosmology. The autor says: "The thing that interested me it is the beauty of his equations and the inevitable confrontation between science and art, a broken relationship that now finally we see slowly back together. " Born in Brescia in 1966, lives and works in Milan. Graduated at Brera Academy. He realized many site specific installation based on neon light as the one at Stelline Foundation Milan and Museo Pecci Milano. He recently realized Bentley Elements, supporting the company with a light installation for the launch of a new car in Miami Design Basel in 2014 and a huge installation with a sentence at the opening of the Ravenna Festival this year.